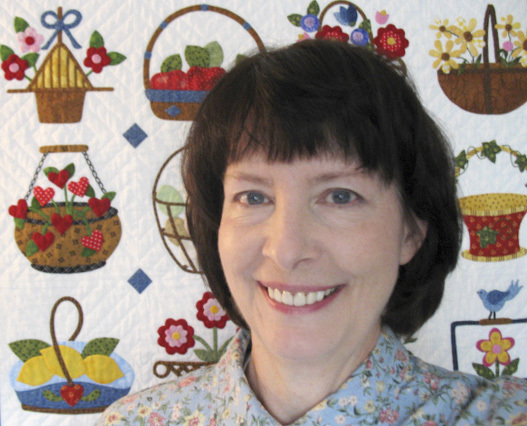 Kay Mackenzie here, a quilter, designer, and appliqué enthusiast in Santa Cruz, California. 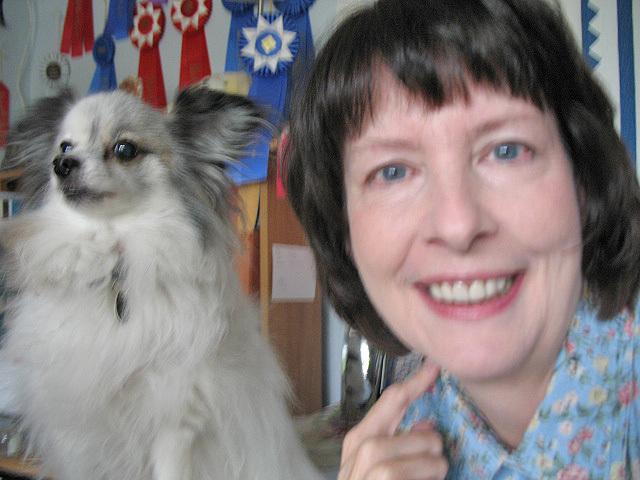 My design publishing company is By Kay Mackenzie. There you’ll find a variety of books and patterns, and you’ll definitely notice the bent toward appliqué! I’ve been a quilter for over 19 years now. When I took my beginning quilting class, I told my instructor that I enjoyed the Dresden Plate the most out of all the blocks in the sampler. She said to me, “You just might be an appliqué person.” I don’t know whether she shaped my destiny that day, but it turned out to be so true! I started out as a hand appliquér only, using freezer paper templates on the back. Pretty soon I graduated to freezer paper on the front, and worked that way for many years. When I became a designer and publisher, I decided to learn machine appliqué, so that I could make additional samples a little more quickly. Now I’m pretty handy at the raw-edge fusible machine blanket-stitch method as well. And, last year I learned the back-basting (aka no-template) prep method for hand appliqué. Those are my main methods, but there are so many more! And they’re all good! I’ll say it again, it’s all good. We’re celebrating all forms of appliqué here. To contact me, email kay at kaymackenzie.com.